The fitness and wellness industry may be causing a serious problem in our society. I have a lot of fitness and wellness professional friends and they may not like me very much after this video. Sorry friends but I am talking about a serious issue. 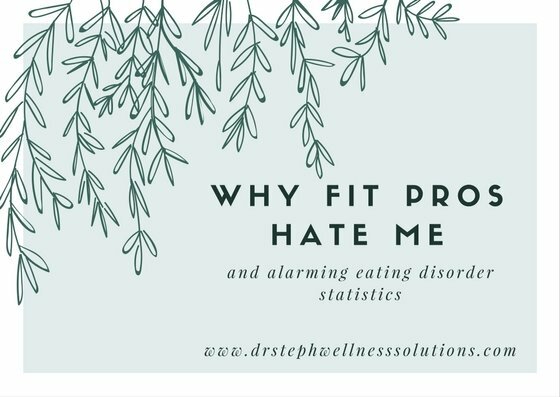 I am not going to say that the fitness and wellness industry are directly responsible for eating disorders, but I am going to say they contribute to a desire and an obsession to look a certain way. The desire to be thin causes a problem for men and women, I see this every day. I experienced this myself. For many years I was a fitness professional. I taught group fitness classes and even did some competing. During this time I was obsessed with my body, my clothing size, my weight, and how my body looked according to fitness expectations. The sad part was that I never felt satisfied. I felt I needed to do more, work harder, diet better, and look better to achieve fit and thin standards. I believe a contributing factor to this is following fitness professionals and wellness professionals on social media. We are bombarded with workouts, diets, supplements, and images of “fit”. I understand these images are meant to motivate and inspire. I was guilty of posting things like this to. I posted my meal, my workouts, and images of my 6-pack. My intention was to motivate and inspire people to live a healthier life. But these images can create the idea that you are not “good enough”. You feel you are lacking because you compare yourself to what you see on social media. It may not be such a good idea to follow a lot of fitness and wellness individuals on social media. We have this idea of “thin” and “fit” and these ideas are contributing to a very real and large problem. Don’t believe me this that this is a problem, well check out these eating disorder statistics. 42% of 1st-3rd graders want to be thinner. Little children are being told they are not OK with their bodies. 35-57% of teen girls engage in crash dieting and attempts to diet. Girls that diet are 12 times more likely to develop binge eating behaviors. 35% of normal dieters progress to develop eating disordered behaviors. This is serious. Health, fitness, and wellness are wonderful, but the obsession to lose weight is a problem. The problem is the desire to look a certain way. 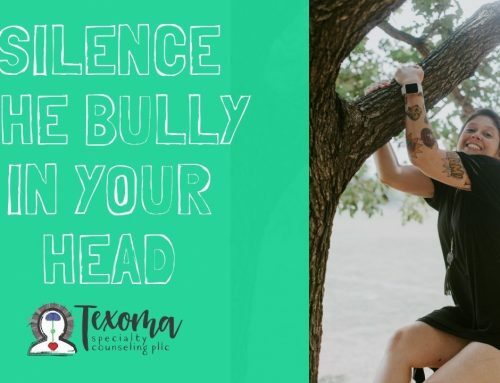 We see people on social media that have “fit” bodies and a seemingly wonderful life, causing you to feel shame and that you are not good enough. This increases the likelihood that you will have the desire to diet and change your body. You feel shame because you do not look like the “fit” individuals you see in magazines, TV, and social media. Eating disorders are a problem here in Texoma. I see several in my practice, I encounter people everyday that do not feel good enough because of “fit” standards, and I know that I personally struggled with the obsession to be “fit”. Are all fitness professionals bad, of course not. Most are doing a lot of good and changing lives. We need to be aware of the content we seek and what sources are motivating and influencing your self-esteem. The goal in life is not achieve a “fit” body. The goal is to be happy and experience love and companionship. You can have these things no matter your weight, body shape, or health habits.